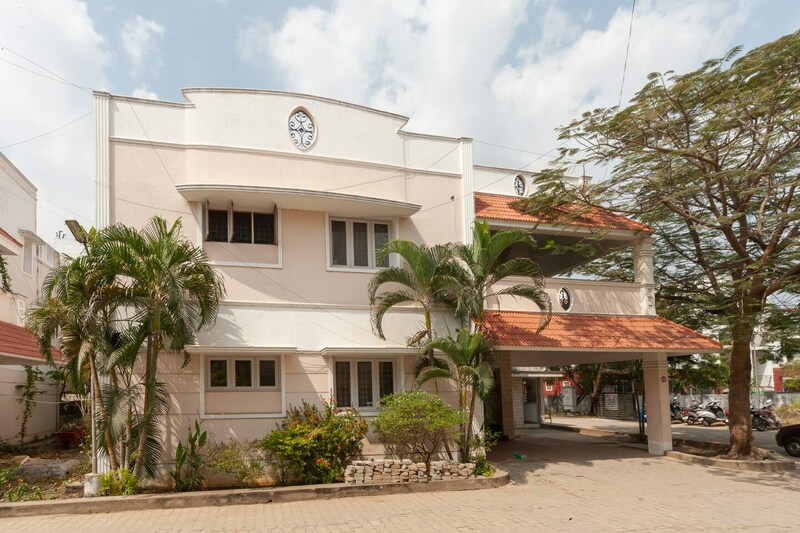 Geetham Homes is a classy looking property with bright and neat interiors, located on Venkatraman St, in Kamakoti Nagar, Pallikaranai, in Chennai. It is close to Pallikaranai Marshland, Greater Chennai Corporation Herbal Park and VGP Shanti Nagar Park. The property has a quaint look on the outside and is surrounded by beautiful greens. The rooms are well-lit, cosy and feature paintings. There is a spacious terrace area with seating on the first floor. Each room here is equipped with TV, AC and free internet. Parking, power backup, laundry services and CCTV cameras are also available. There is a kitchen and dining area too. Some of the restaurants close to the property are Domino's Pizza, Spaghetti Chutney, Z Bar - Zone By The Park, Lassi Shop and Kandy's.